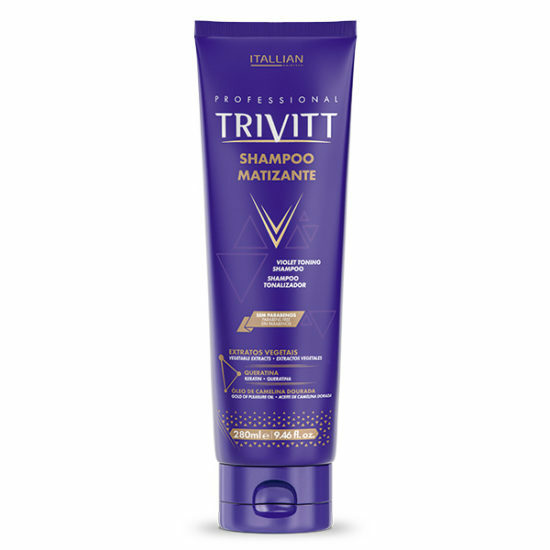 Mattifying Trivitt - Platinum Shine Since the First Application. 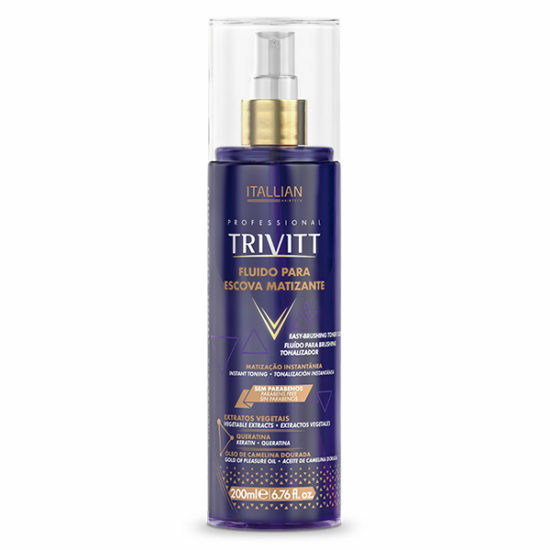 Exclusively for maintenance of blond hair or with strands, Trivitt line repairs, nourishes and neutralizes yellowish and orange shades caused due to dye wear. Provides platinum shine since the first application. Is indicated for blond hair, because it neutralizes the yellowing of the hair, by repairing platinum shine and anti-oxidant protection. Its formula contains active ingredients that protect luminous and grayish blond, at the same time that protects from aggressions that give cause to color oxidation within the strands and prevents the appearance of stains. 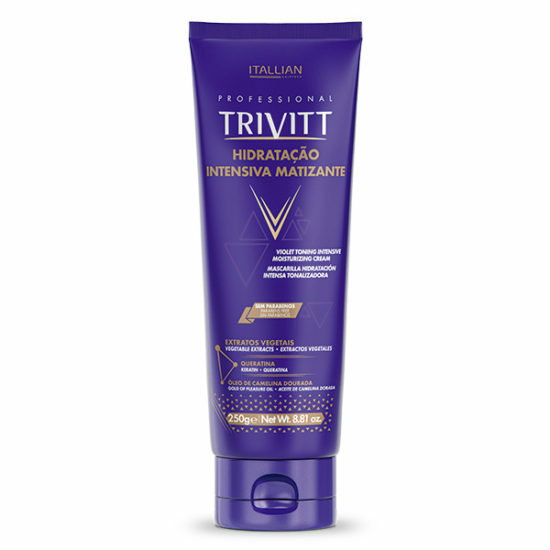 Is indicated for blond hair, because it eliminates the yellowing of the hair, detangles and protects color for a longer time. It contains violet pigments that neutralize yellowish blond, while its formula, rich in anti-oxidants protects the hair from the aggressions that affects the color of the hair with the sealing of the cuticles, which also eases brushing and enhances shine. A Hidratação Intensiva Matizante é um tratamento imediato para cabelos loiros que neutraliza o tom amarelado dos fios, traz de volta o brilho platinado, deixa o toque macio e a cor com proteção prolongada. Penetra pela fibra capilar e elimina o amarelamento causado pela oxidação do pigmento no interior dos fios com o resgate do efeito loiro acinzentado desejado. 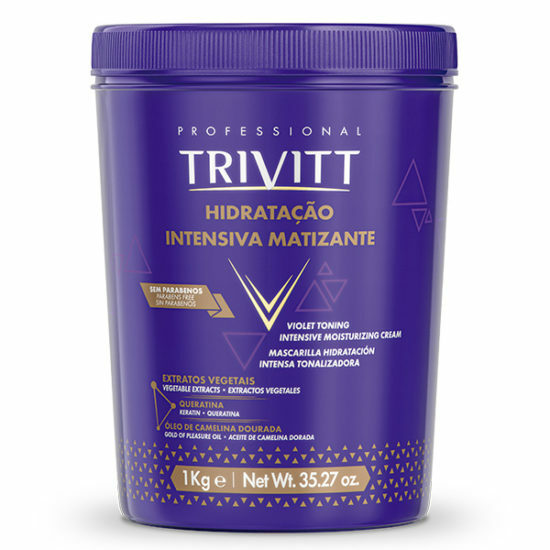 Além disso, sua fórmula é rica em antioxidantes, agentes que protegem a cor do cabelo loiro do desbotamento e de manchas, e em ativos condicionantes, que proporcionam a sensação de fios soltos, macios e desembaraçados. 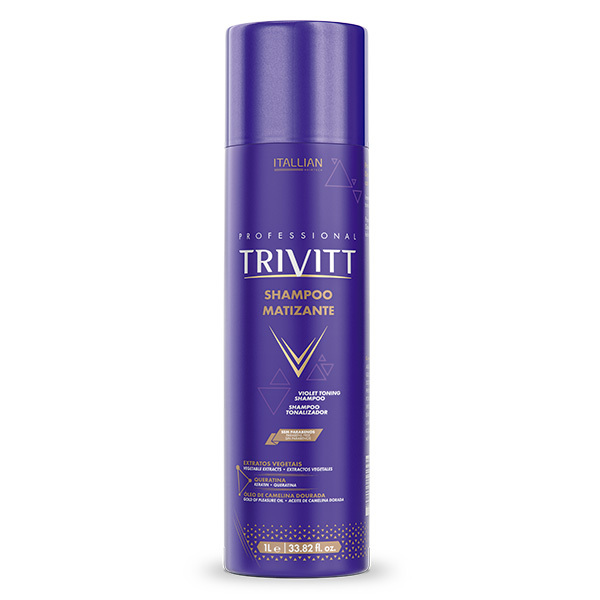 It eases blowdry service, prevents split ends and provides instant toning, neutralizing yellowish and orange tones.